The race is on and I couldn’t be more excited. The Group 1 Rising Sun Gold Challenge gives us the mouthwatering clash of South Africa’s heavyweights Legislate VS Futura. The two stars have made it through their preparations and trainer Justin Snaith is happy to let them take each other on. Reigning horse of the year, reigning Durban July champ, Guineas and Daily News winner – he’s done it all in 2014. Heading into the Queen’s Plate back in January, South Africa’s Premier Mile race, he was thought to be virtually unbeatable. Weeks before he stuffed his rivals, including Futura, in the Grade 2 Green Point Stakes, when returning from a deserved break after winning the biggest race of them all, the Durban July. That’s when the problems started. After Aan unusually dismal performance in the Queen’s Plate it emerged that Legislate suffered from a severe lung infection. That took him out for months to get over it. He also missed his intended return to the track recently, when he injured himself while loading into the stalls. So, how much ability can Legislate retain? Is he 100% today? According to Justin Snaith, Legislate couldn’t be any better. He’s ready to go, though it’s hard to know whether he’s back to his brilliant best. One the positive side: Legislate looked sensational in his public work, effortless floating over the ground. What’s more, Legislate usually runs very well as a fresh horse. He always made a successful return – bar the Queens Plate race, where we know he wasn’t right. He’s also unbeaten at Greyville and clearly has the speed and turn of foot for 1.600m as a former Guineas winner. A hype horse at this time last year. Futura was a massive market mover for the Durban July, South Africa’s most important race. But he wasn’t tested in Grade 1 company yet back then. He looked an emerging star – or a bubble ready to burst – whatever way you wanted to see it. But he proved his class when running out a strong third in the July, with the run of the race clearly against him. He redeemed himself soon after, landing a deserved first success on the highest level. He hasn’t looked back since then, bar one race: When put into his place by Legislate in the Green Point Stakes. But he subsequently completed the Queen’s Plate & Met double – which is a rare feast! The handicapper reacted, put Futura’s rating up to massive 120 – which means he’s one of the top rated horses in the world now – mind you, 3lb better than Legislate! Futura had a little break afterwards but was back as strongly as ever when winning a minor race in preparation to the Rising Sun Gold Challenge last month. The general perception is that 1.600m is not an ideal trip for him – 2.000m seems the distance. However his record over 1.600m speaks for itself. 6-4-1-1. Never been out of the money. Of course this is not a two-horse-race. Ten more or less well fancied rivals try to land a blow against the two big guns. Ice Machine with Anton Marcus on board is the closest pursuer in the betting. He was an impressive winner of his prep race recently and loves the trip. Not one you want to underestimate but on bare form has has a little to find. The rest of the field can only hope that the race turns into a muddling affair, which may not quite suit the heavyweights, and as a result they may encounter in-running trouble. There was a shock winner in this very same race twelve month ago, so it’s not quite out of the world. A sprint finish would probably suit Willow Magic most. He ran well in a big Grade 1 sprint recently but stays 1.600m. I believe a Legislate at his best is the best horse in South Africa – better than Futura too. Before his injury troubles this was the general perception. He was virtually unbeatable, went into the Queen’s Plate a 9/20 chance! Over 1600m he has an advantage against Futura as well. But only if he can find back to his brilliant best. The race will tell us if the old Legislate is back. Visually he looked superb in his work. He goes well fresh and I give him the benefit of the doubt today. He he’s almost twice as big in the betting as Futura. Convert his odds into a percental chance: 11/4 = 26.6667%. So if I ask myself: Is Legislate a better chance in this field, if anywhere near his best? Absolutely! I’d nominate Willow Magic as the joker in the race and wouldn’t be surprised if Halve The Deficit can outrun his big price tag – although both shouldn’t be anywhere good enough if things go normal. Big surprise in the Oaks today – 50/1 shocker Qualify got up to deny Legatissimo the Guinas & Oaks double. 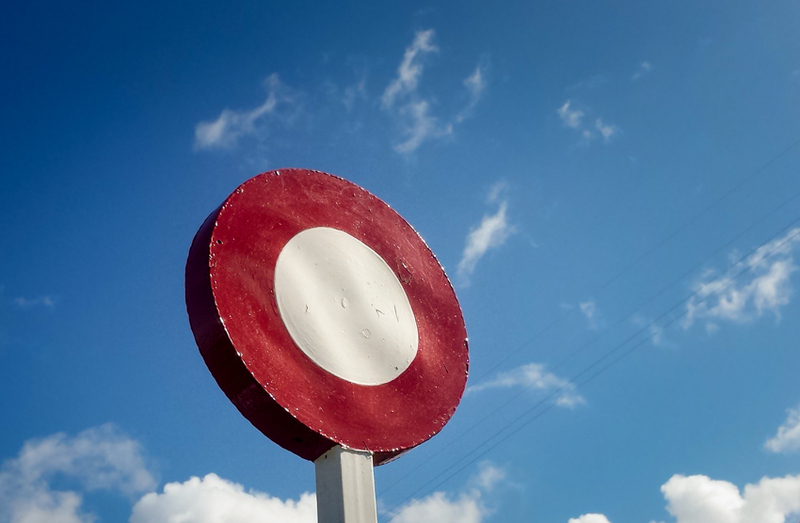 That says, if you would have been brave enough, you could have got easily 100/1 for the winner this morning…. I didn’t, that is for sure, completely dismissed this filly. I got it wrong. But it helps to know that most got it wrong. Anyway, that’s the Oaks. History now. Let’s concentrate on what’s in front of us: The Derby! Golden Horn: Favourite, impressive winner of the Dante Stakes. as the key trial. I marked him as one to follow in my Horses To Follow article. Hard to oppose on form but question mark is the trip. I have him down as a 10f horse, though he might be able to stretch out to the Derby distance. Whether he stays the trip is not really the question, though, it’s more whether he’s able to stay it in a way that enables him to beat horses who are certain to get it. Jack Hobbs: Runaway winner of a Sandown Handicap. Proved his class in Dante with good runner-up effort. Clearly not yet the finished article and fair chance to stay the trip. That says his dam hasn’t produced a winner over 12f yet. Likely to improve again but has to do so if he wants to go close. Elm Park: Racingpost Trophy winner. Didn’t do anything wrong when third in Dante on seasonal reappearance. He’ll come on for that and I expect him to finish much closer to Golden Horn and Jack Hobbs this time. He clearly stays, will get the trip, but has to prove he can be top class on better ground. However if there is anything soft in the ground come 4.30 Saturday afternoon he must have a prime chance. Giovanni Canaletto: Another one from my Horses To Follow list. Lightly raced, this lack of experience may count against him. But he looked smart when winning a minor race as a juvenile and his comeback run a fortnight ago was promising the way he finished from a poor position. He’s a full-brother to 2013 Derby winner Ruler Of The World and should improve for the trip. Like his big brother, he’s fitted with cheep-pieces for the Derby. Epicuris: Group 1 winner in heavy conditions as a juvenile. Form doesn’t really work out, and not too exciting on seasonal reappearance when only 2nd in Group 3. Known for his problems in the preliminaries of a race and unclear if he can be fully effective on better ground. Hans Holbein: Lightly raced Chester Vase winner. Probably needs soft ground and more of a Leger type. Big question mark whether he’s quick enough to win the Derby. 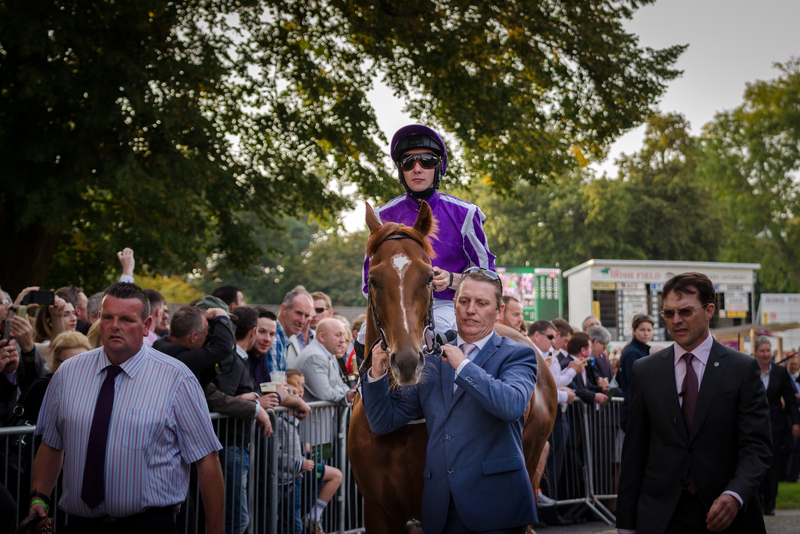 Kilimanjaro: Witnessed with my own eyes when this lad got the mark in a Dundalk maiden back in April. Won the Derby Trial at Lingfield since then. Fair type but I find it hard to see him good enough to win a Derby. Moheet: Looked exciting as a juvenile but hasn’t fulfilled promise in couple of starts this year. He may improve with time and experience but the Derby distance looks very ambitious. Storm The Stars: One of the more experienced individuals, yet he looked still a big baby in his races. Took him a while to get off the mark but clearly progressing and the trip is in his blood. Might be up with the pace and wouldn’t mind making all if needed. Very dangerous if allowed an easy lead. Success Days: Progressive and impressive in Ireland this year. Likely needs it soft to be seen to best effect and very dubious stayer on pedigree. Rogue Runner: German raider who won two minor races in his native country. May improve for the step up to Derby trip but very hard to see him good enough to land a blow. Carbon Dating: Still a maiden, big chance to finish last. Verdict: Ground seems key. If there are any soft patches in the ground I believe Elm Park must go really close. But with the ground probably drying out over night, I feel there are others races later the year which are likely to suit better. Golden Horn is top class and will go close if he truly gets the trip. But given his very short price is easily opposable. I admit I’m not getting warm with Jack Hobbs and don’t see why he is shorter than a couple of others. He’s a good horse and may even develop into top class, but for now I have Elm Park higher in the packing order. However it’s clearly Giovanni Canaletto who gets the nod from me. I have a 16/1 ante-post bet on him, but he’s still a 9/1 chance, which strikes me as too big – therefore I nominate him as my selection for the Derby. He’s clearly classy, has the right credentials on pedigree and first time headgear should help to settle and focus when it matters. The final race on Doncaster’s card is all but exciting. But “tracker horse” Oracolo has an entry and I’m inclined to give him a second chance. I was already keen on the son of Cape Cross when he made his seasonal debut at Newmarket last month, but that seemed more like a public gallop for the four year old, in order to blow the cobwebs away. Oracolo appeals as the type likely to improve with age and experience, so the Newmarket outing may have done him the world of good. Still a lightly raced gelding, last year he needed three attempts to get off the mark, finished third in a good Redcar maiden and then went on to win at Wolverhampton in what was quite a decent race. It’ll be only his second start in Handicap company here at Doncaster, over a trip and fast ground likely to suit perfectly on pedigree. He also has also been gelded over the winter, which sometimes needs a run or two to really make an impact. In a nutshell: I think in this underwhelming field Oracolo has a prime chance to go really close off a pretty fair mark. This looks a wide open contest and I find it hard to get warm with the favourite Aces. Clearly a talented individual and open to improvement, but that could easily be said about half of the field. I’ve decided to go with one my ‘tracker horses’: Hail The Hero. This Former aiden O’Brien inmate cost 500k as a yearling and is extremely well bred. He didn’t quite fulfil the promise of his pedigree yet and remained a maiden in three starts as a juvenile – though he showed talent when close runner-up behind Vert De Grece, who subsequently finished less than a lengths beaten by Gleneagles and ended the season with a Group 1 success in France. Hail The Hero has changed yards over the winter, is now with David O’Meara. He was excellent on his debut for new connections back in March when he landed a Doncster maiden in impressive fashion. He meat in-running trouble that day but was still able to produce a blistering turn of foot when finally in the clear and won easily. Upped in class subsequently, he couldn’t land a blow in either the Craven Stakes nor the Guineas. But now dropped in Listed class, he may have a more realistic target. The drop back to 7f should suit as well, so will the ground. A Handicap competitive in its nature, though nothing obvious sticks out. Many have to deal with high marks and are tasked with a career best. Fire Fighter could be one who is able to achieve this. He won well at Redcar with a bit in hand when last seen, and under a penalty he is likely to be a big runner. But it might worth to give What About Carlo another chance. He was progressive last season, won here at Epsom a competitive 10f Handicap and is now only 1lb above this last winning mark. He’s slipping down to a rating of 95 due to some poor recent efforts. This blip in form comes a bit as a surprise as he finished the Lincoln at Doncaster in eye-catching fashion, over a trip too sharp. He was outpaced but stuck gamely to the task and run out a creditable 4th place. If What About Carlo can bounce back to form he could take all the beating today I feel given that he is one of only very few in this field who are potentially well handicapped. Conditions should suit down to the grounds. It’s raining cats and dogs here in Dublin this morning which will ensure that the quick ground is going to diminish until the race tonight at Leopardstown. That could destroy the chances for some in this field. Most notably Panama Hat, who is a dubious stayer in my book and has shown his best form on quick ground. Key form for this race is the Group 3 Vintage Crop Stakes from last month. Exciting stayer Forgotten Rules won the race, with promising Answered in second. More interesting is what happened behind. Race fit Sir Ector finished third, which makes him one of the likelier types today. Not far behind in fourth and fifth that day were Panama Head and Kingfisher. The former one didn’t seem to stay the trip, though. Kingfisher in contrast seems to get the trip well. He wasn’t knocked over on his seasonal reappearance but made good progress late to pick up Panama Head eventually. He appears to have strengthen up over the winter and a campaign in all the big staying races has been mapped out for him. He was once a highly promising colt thanks to a runner-up effort in the Irish Derby behind Australia. Deployed as pace maker in most starts last year, he gets now the chance to race for himself. On pedigree he has good credentials to develop into a fine stayer. On balance, Kingfisher is the best horse in this race. He drops in class should improve from his recent run. If fully wound up one would expect him to beat the rivals he ran close to at Navan. A hood is fitted for the first time too may help him too. In the context of the race I believe he’s a big price. The general perception is that the Oaks are a better race than the Derby this year. And yes, there’s certainly some merit to this. The Oaks field looks absolute delicious -and that’s not only because the brilliant 1000 Guineas winner Legatissimo standing her ground over the much longer Oaks trip. No, it’s the strengths in depth that really intrigues me. 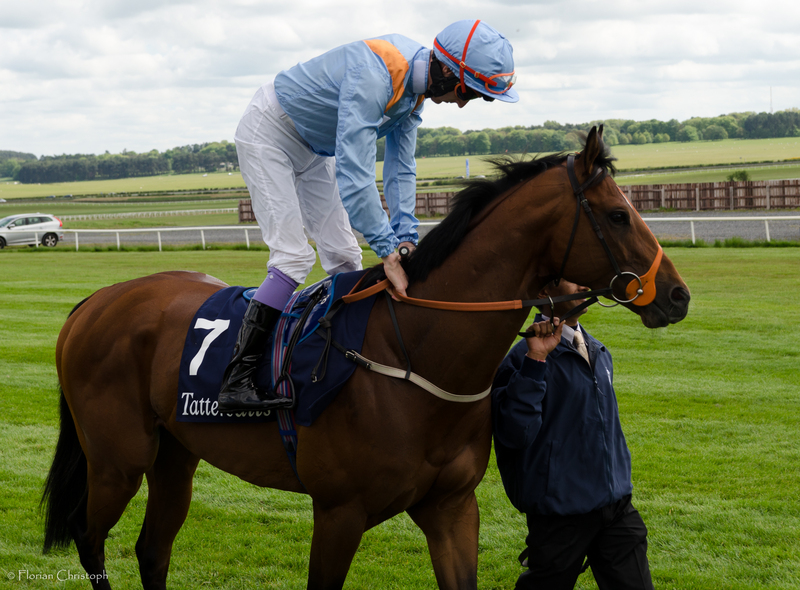 Of course the Wachman filly couldn’t have been more impressive at Newmarket. The drop in trip to 1m didn’t seem to suit beforehand, but it worked absolutely in her favour given the way the race panned out. Racing off the frenetic pace, once she started her big move, she picked them all up one by one, filly after filly, until she was left alone in front. No doubt, she is a very strong favourite to land the Guineas & Oaks double. The longer trip is rather certain to suit than not, the ground won’t be an issue and she looks a well balanced filly who’s likely to handle Epsom’s undulations. If you want to find question marks than it has to be the draw. Legatissimo has to start from stall 1 – which would be in any other sport the pole position – but not at Epsom where the record in the Oaks for fillies drawn in one is disastrous. Lucky she is, though, as she has Ryan Moore in the saddle….. there’s some people thinking he’s the best jockey in the world. He may be able to get her out of this dilemma. Honestly, after making this case for her, I find it hard to oppose her. But I have to. At 3/1 or even shorter I can hardly see any value in the price. It’s a competitive field with strong opposition. Legatissimo is not invincible. Main danger could be Stoute’s Crystal Zvezda. Lightly raced, she seems to have tons of potential. Her eye-catching success in a Newbury listed race on her seasonal reappearance promises allot. However Epsom is a completely different track compared to what she has seen at flat Newbury. Will this inexperienced filly handle the tough assignment which the Oaks will undoubtedly provide? Maybe. I could be tempted at 4/1, but also believe better value can be found in this field. Many have been impressed by Jack Naylor’s performance in the Irish 1000 Guineas. So have I. She stayed on from an unfavourable position, trailing the field for most parts of the race, and finished an encouraging fourth in the end. Jack Naylor has a good chance to stay the Oaks trip, albeit it’s a dramatic step up from a mile to 1m 4f. And might the bounce factor kick in? Only 12 days after having a tough race in the Guineas she’s here at Epsom. Aiden O’Brien is represented with three fillies. Qualify is likely to be deployed as a pacer maker – that’s my best guess. Diamondsandrubies was a very good winner of the Cheshire Oaks. Soft ground may be key to her, so the drying ground seems against her. She also needs to take another massive step forward to win. Probably the best of the O’Brien trio is Together Forever. A Group 1 winner as a juvenile, after what her trainer said she might be more a Guineas type than one for the Oaks as she shows more speed than expected. Well, here she is in the Oaks, on the back of a very encouraging runner-up effort in the Musidora Stakes over 1m 2f. The winner had the run of the race from the front that day and Together Forever – albeit making eye-catching progress from four to two furlongs out – appeared to be flat footed once the pace setting filly kicked on. But she kept fighting and stayed on strongly. She almost caught the eventual winner on the line. On pedigree Together Forever looks certain to stay the Oaks trip, and not only that, she may easily improve for it. I would expect her to come on from her comeback run too. If she handles Epsom, she must rate a very big runner. Her Musidora form is tied to Star Of Seville, who won the race. A smart filly in her own right, but 10f looks to be her optimum, if not even the limit of her stamina. That should not be the case for Cummani’s Lady Of Dubai. She impressed at Goodwood in a Listed event and has a very fair chance to get the Oaks trip. Frankie Dettori’s mount Jazzi Top was a good Listed winner last month as well, though stamina is a bit more of a question mark for her. It is very hard to see either Al Naamah or Bellajeu good enough to land a blow in the Oaks. Verdict: Legatissimo is likely to be found on any short-list, for obvious reasons – but as mentioned before, she is not a price I’m particularly fond of. Same applies to Crystal Zvezda. I like her and look forward to see her running, but she not a price for me. Lady Of Dubai is a filly I believe can run a big race and no doubt she is an interesting price. But most intriguing individual is Together Forever. Potentially she has so many things in her favour here. It’s likely that she can improve for her seasonal debut as well as the step up in trip. She’s already a Group 1 winner, so clearly has the class, and has a good draw, which isn’t quite without importance.